Juventus midfielder Miralem Pjanic has confirmed that there was interest from the likes of Chelsea and Manchester United during last summer's transfer window. Juventus have reportedly not given up on the prospect of re-signing Paul Pogba and they are prepared to tempt Manchester United with a player-plus-cash deal for the Frenchman. Youri Tielemans has made some very loud noises about joining Juventus. Juventus to break transfer record for Paul Pogba? Juventus are reportedly planning to raise upto £200m in a surprise attempt to re-sign Paul Pogba from Manchester United in the ongoing transfer window. Juventus manager Max Allegri is likely to demand the signing of three key players from the Bianconeri, should he replace Antonio Conte at Chelsea during the summer. Juventus midfielder Miralem Pjanic has admitted that he turned down advances from north London duo Arsenal and Tottenham Hotspur earlier in his career. Chelsea boss Antonio Conte could reportedly reunite with Juventus defender Claudio Marchisio as he intensifies his search for a new central midfielder. Despite Jose Mourinho rejecting Galatasaray's attempt to sign the Belgian and reiterating his importance to Manchester United, Juventus have registered their interest in the midfielder. Stoke City are reportedly weighing up an offer to sign Juventus midfielder Mario Lemina this summer. FA Cup holders Arsenal have renewed their long-term interest in Juventus midfielder Mario Lemina ahead of this summer's transfer window. 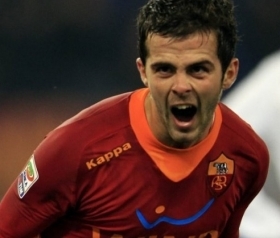 European champions Real Madrid are lining up a summer approach for Juventus midfielder Miralem Pjanic. Liverpool midfielder Emre Can is being closely monitored by Juventus with a view to a future move for his services. The German international has been watched on numerous occasions by the Italian outfit, who are on the search for a new central midfielder. Arsenal boss Arsene Wenger is reported to have made contact with Juventus midfielder Miralem Pjanic ahead of a summer move for his services. The Bosnian footballer is being lined up a replacement for Santi Cazorla. All of Europe’s major leagues are now well underway and sports betting sites have shifted the odds on who will win them in reaction to results so far. Some pre-season favourites have been knocked down a peg or two after some poor results, while others have seen their odds shorten after a stellar start to the new campaign. Here we round up each of Europe’s top five leagues and who is in the race to win them. Paul Pogba has flown in to Manchester today to complete a medical ahead of a world record move to Manchester United, but the process could yet take two to three days, according to reports. Chelsea midfielder Oscar has emerged as a target for Inter Milan in this summer's transfer window. The Brazilian had a poor season for the West London giants last term. Juventus and Everton are set to do battle over the signing of Newcastle United midfielder Moussa Sissoko, according to reports. Juventus are considering a move for Leicester City midfielder N'Golo Kanté, according to reports in Italy. Italian champions Juventus are close to agreeing a deal to sign Mehdi Benatia from Bayern Munich, according to reports in the Italian media.